I bought a hat today. It’s blue and trendy and completely unpackable — but I need something to keep the sun off my head in Morocco, and I think I’ll be able to pull this one off. 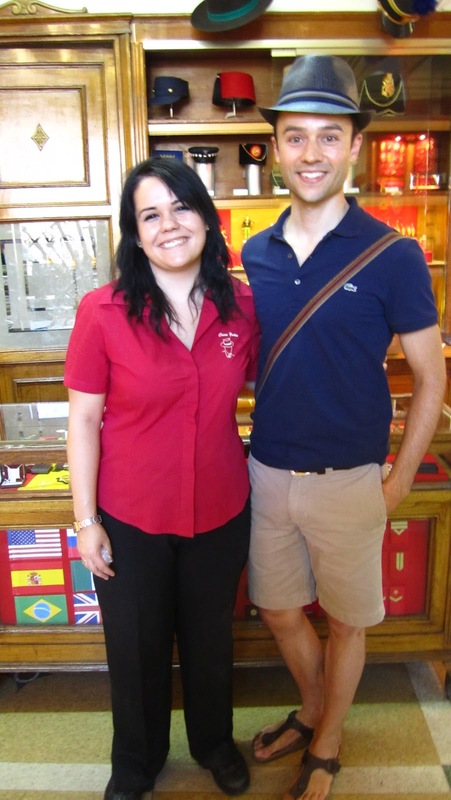 We found the hat shop yesterday on our way from the Plaza Mayor to the chocolateria. The hats caught my eye, but I said I’d be prudent and stick with the hat I’d brought from home. 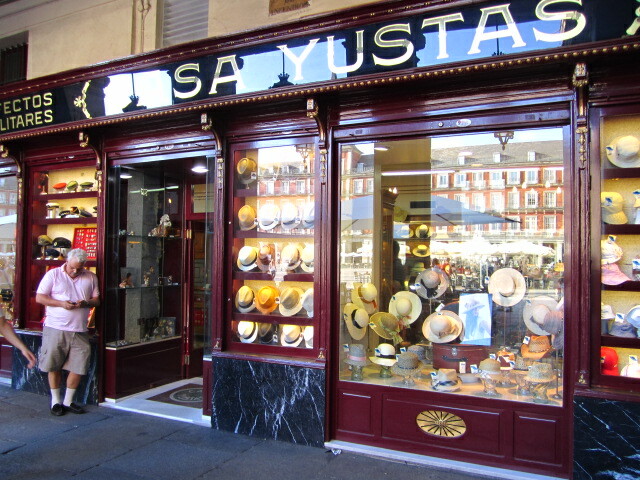 But after another day of seing all these well-dressed and well-hatted European men running around, I decided to give hat shopping another try. We were greeted by a clerk named Sara, who was very helpful both in pulling the sizes we requested and in giving her frank analysis of whether the hats we selected were right for our faces (“No, absolutely not.” Sometimes it was so bad Sara wouldn’t even let us look in the mirror before snatching back the hat.) Eventually, with Sara’s guidance, we both walked out with brand new hats. I sported a dark blue fedora; Amanda had something more safari-like. I’m kind of excited to own a hat. Two years ago, in Dubrovnik, Quynh-Nhu had encouraged me to get a hat and had gone with me into a few shops to pick one out. But we didn’t have a Sara to help us navigate the shoals of hat-buying, and so we came away empty-handed (I did, at least; QN found a couple of cute little bags).